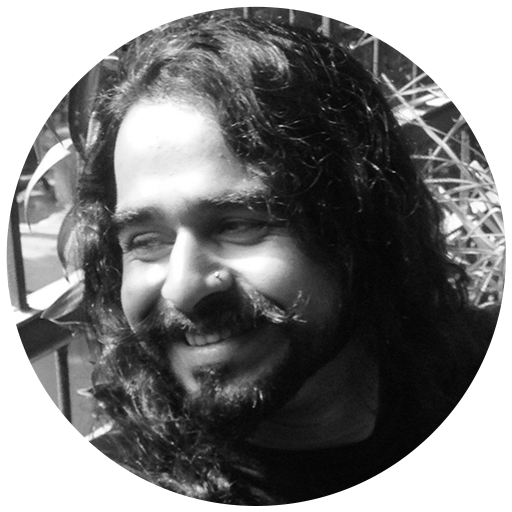 Sujay Saple is Artistic Director of Shapeshift – a dance-theatre company based in Mumbai. He has choreographed seven original works – ‘Unselfed’(2012), ‘Moonfool’(2014), ‘Ghar Ki Murgi’(short,2017), ‘Agent Provocateur’(2017), ‘Plastic Bodies’(short,2017), ‘Sculpting Intimacy’(performance installation, 2018), and ‘This Is All There Is When There Is All This’(2018, with Rachel D’souza, for The Company Theatre), which have performed at various festivals and vital venues around India and received rave reviews. He has been an independent performer, director, designer and workshop conductor, working actively in the field of performing arts for over fifteen years, and on more than 40 collaborative performance projects. He regularly conducts workshops in movement and physical theatre for professionals, young adults and children, both in India and abroad. He is a recipient of the Ministry of Culture-Government of India fellowship for performance research and practice. He has also received the Art Think South Asia (ATSA) fellowship. He often teaches performance at the Kamla Raheja Vidyanidhi Institute of Architecture. For the last few years, Sujay’s focus with Shapeshift has been to galvanize, within Mumbai’s existing cultural bouquet, a vibrant supportive space for contemporary dance, physical theatre, movement work and experimental performance – fields which are relatively young and struggling in India. He lives in Mumbai.